You knew it was coming. There’s no way on earth Lifetime would pass up an opportunity like this. According to Deadline, the cable network and distributor of sappy movies you secretly cry through is working on a film chronicling the relationship of Prince Harry and Meghan Markle titled, Harry & Meghan: The Royal Love Story. 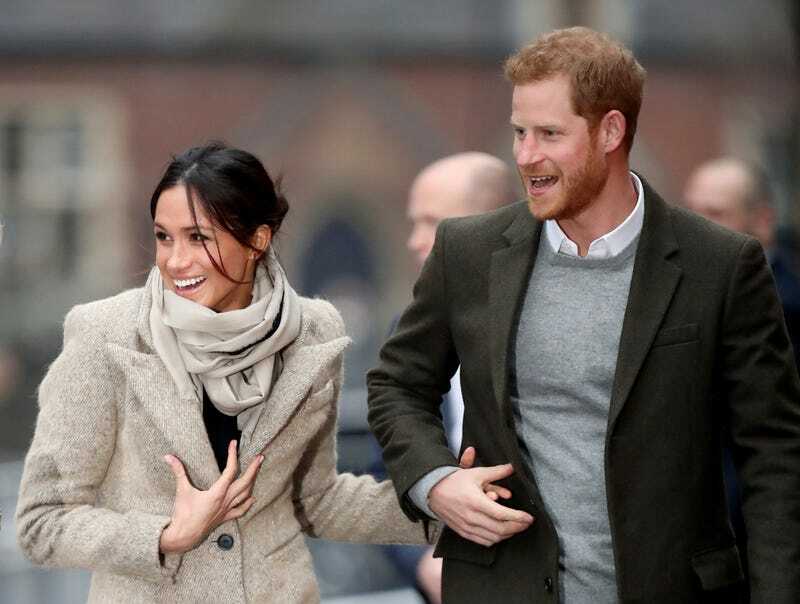 The film will examine the history of Prince Harry and Meghan Markle from the moment they met after being set up by friends, through their initial courtship when they were able to keep their romance under wraps, and ultimately the intense global media attention surrounding their relationship and Meghan’s life as a divorced American actress. This is not the first time a royal wedding has been used as inspiration for a Lifetime movie, of course, with William & Kate: The Movie, detailing the romance between Prince William and Kate Middleton, airing just 11 days before their royal wedding. Casting is currently ongoing for Harry & Meghan, and it’ll definitely be interesting to see who will be cast to play Markle, who is an actress herself. No date is set for the release of Harry & Meghan, but it’s assumed that it will follow a schedule similar to that made for William & Kate, and air a few days before the newest couple’s May 19 wedding.